A tough camera needs a tough and functional case. 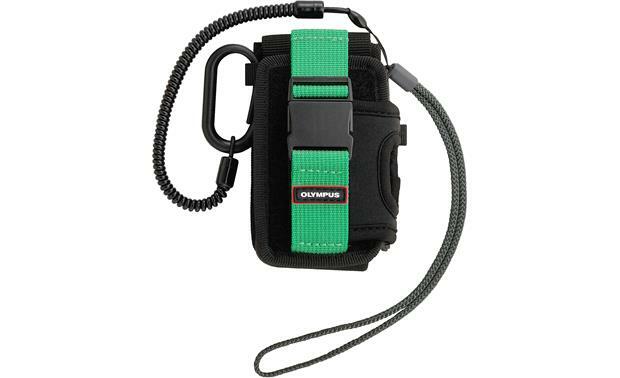 This rugged carrying case is designed to fit the Olympus Stylus Tough TG Tracker camera, right down to the matching green and black color scheme. The case buckles up tight for an added layer of protection. Overview: The TG-Tracker Case (CSCH-125) is custom-built for the Olympus TG-Tracker action camera. You can store the camera in the case with or without the Steady Grip attached. The Polyester fabric case features openings along the top that allow you to operate the Log and Wi-Fi on/off buttons without removing the camera. 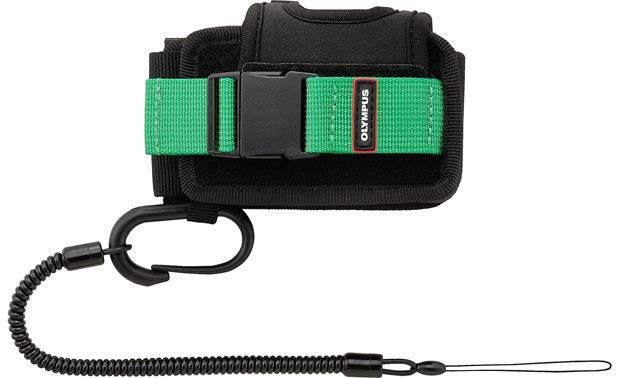 The 3" long x 1" wide, bright green adjustable strap holds the camera securely in the case. 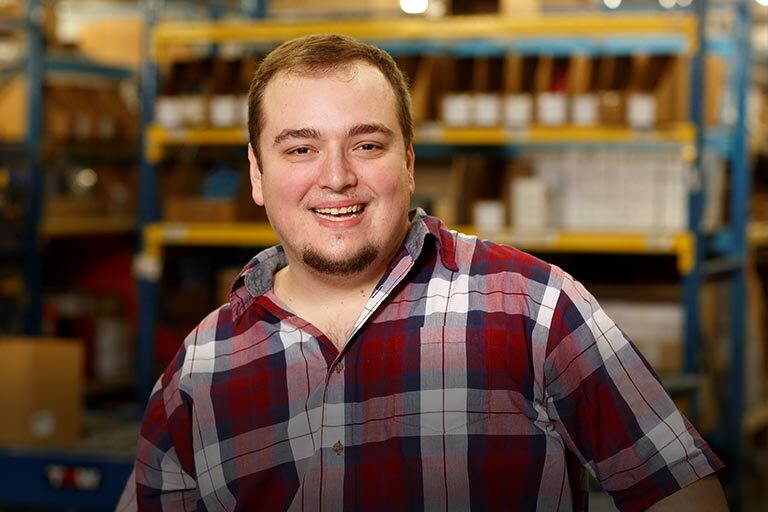 The included plastic clip can be attached to the case in two locations for vertical or horizontal orientation. 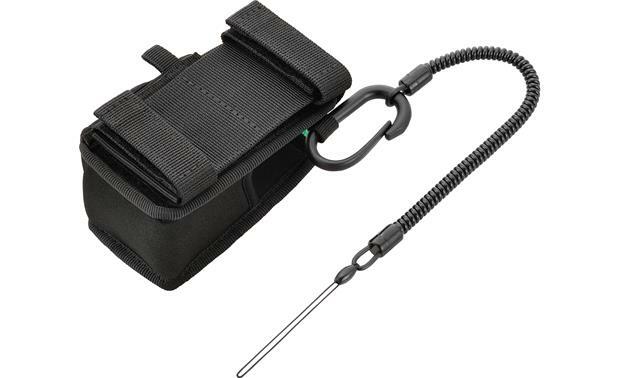 Multiple hook-and-loop fasteners let you attach the case to your belt or backpack. 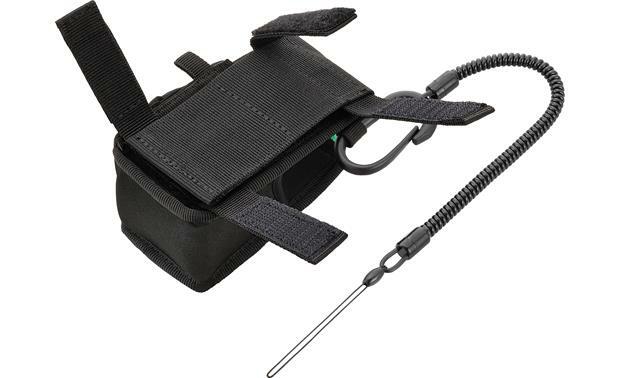 Safety Cord: The TG-Tracker Case includes a spiral safety cord to tether the camera to the case to prevent accidental loss. The cord stretches from 8" to approximately 18".